The salty, windy calm, the eternal encounter between land and sea is created for inspiration and gathering at sea all year round. 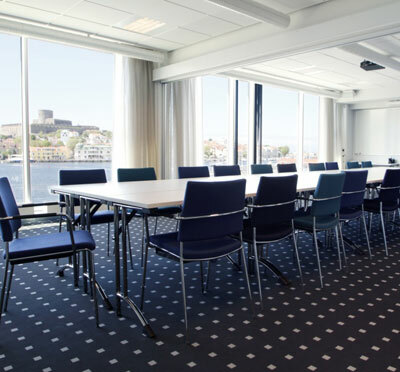 We at Marstrands Havshotell are experts on meetings and events. We are very good at personal service, bakery, coffee, we have knowledgeable staff with high commitment and experience in a unique location. From the beginning to the end. Whether you are looking for a private archipelago villa on your own island, a greenhouse or a more traditional conference room, for the smaller or larger group, you have come to the right place. Our accommodation package includes always our bakery, coffee, relaxation in our typical Bohuslän-SPA, gourmet dining in our restaurant Ottos Kök to finalize the day in one of our 98 rooms. Spice your conference with an activity and make the visit extra salty and memorable. Our range of activities is wide and you can choose to be on land or sea. Book your next conference or event with us. We are not like everyone else - It's not you and your colleagues either. Welcome to the sea. Less than an hour from Gothenburg. Have you been to Marstrands Havshotell and want to give your own comments?